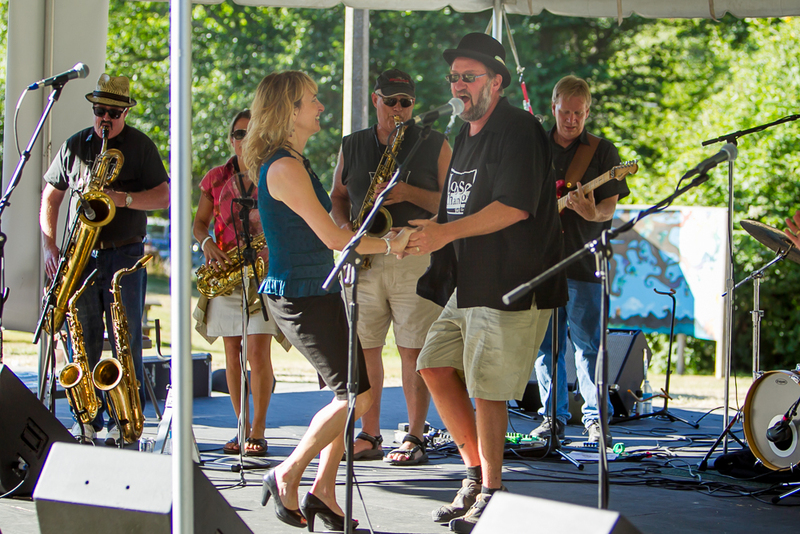 Loose Change is one of Vashon Island's favorite dance bands. The band has been entertaining crowds at private parties, local festivals, and other venues for over 15 years, and is still going strong. Lead singer Troy Kindred fronts the band with his powerful Joe-Cocker-meets-James- Brown voice and his passion for entertaining. Ultra talented keyboard player and music director Kevin Pottinger is the anchor of the band, pulling together an assortment of players and vocalists to create a fun musical and stage show. The huge sound of the horn section really sets this band apart, as do the lovely and talented backup singers, fondly known as the Loose Women. The band's red-hot rhythm section – guitar, bass, and drums – keeps the beat going and your feet moving. The band play list focuses on classic R&B hits from 60’s, interspersed with a few disco and funk songs, a few touches of gospel, and little rockabilly. The set list varies, but you'll almost always hear crowd favorites Mustang Sally, Unchain My Heart, Treat Her Right, Pride and Joy, Take Me to the River, Wonderful Tonight, and Brown Eyed Girl, all sung by Troy Kindred or another band member stepping up to sing lead. When Loose Change takes the stage, you know you’re going to have a good time dancing, listening, and singing along with your favorite tunes all night long.